Your chance to win a three-night getaway! We are running a new Facebook competition for all our guests and are challenging you to capture your favourite, funniest or most beautiful moment when staying in Eastbourne. To ‘capture your moment’ simply take a photo or make a short video of the thing that made your trip in Eastbourne. 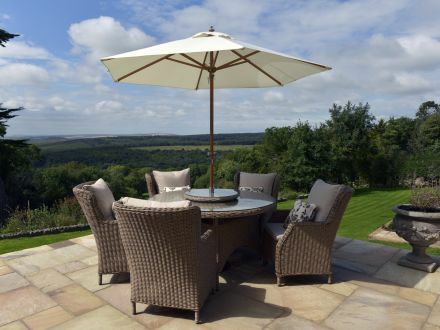 This can be a beautiful view, a favourite activity, a picture of your family at the table enjoying quality time etc. the more creative and heartfelt the better. Each month we will select one winner who has captured the best moment. The winner will receive a £30 gift voucher of their choice and be entered into our annual draw. At the end of the year we will then choose an annual winner from the 12 monthly winners, this lucky individual will receive a free three night stay at our Gresham House property in central Eastbourne. The selected Facebook competition winner will be able to invite up to three guests to enjoy the break with the apartment sleeping up to four guests across a two bedroom, two bathroom layout. For full property details, photos and a 3D tour please view our Gresham House web page here. All winners will be contacted via Facebook and/or email with details of how to claim your prize. Your winning photo/video will also be re-posted. Take a picture or short video capturing your favourite Eastbourne moment. Upload it to our Exclusively Eastbourne Facebook page. Caption your video with the title ‘Capture the Moment’. Feel free to tag your fellow travelers although this is not a requirement for the competition. Don’t forget to follow each of the above steps carefully to be in with a chance of winning. First head to our Facebook page, you can do so by either using the link above or by typing Exclusively Eastbourne into the Facebook search bar. Click the pages tab and we will then be sitting at the top of the search. Desktop – click ‘write something on this page’ at the top of our page and select the photo/video button. Mobile – First select the posts tab at the top of the screen, then click ‘post something on this page’ and follow the same instructions. Choose the photo/video that you want to upload. Caption it as above and then select publish. The promoter of the competition is Exclusively Holiday Homes Ltd (trading as Exclusively Eastbourne). Prizes will be drawn on a monthly and yearly basis, each month one winner will receive a £30 gift card of their choice. The monthly winners will then be added to an annual draw for the chance to win a three-night break for up to four people in our Gresham House property, Eastbourne, BN21 3BS. The prize will include accommodation for three nights in the fully furnished property. Towels, linen and WiFi are all provided. All other costs incurred on the break i.e. travel, drinks, food and activities will have to be paid for by the prize winner. To enter, you must upload a picture/video that captures your favourite Eastbourne moment to our Exclusively Eastbourne Facebook page. You must caption the image with the competition title ‘Capture the Moment’. Competition entry is ongoing with no current close date. 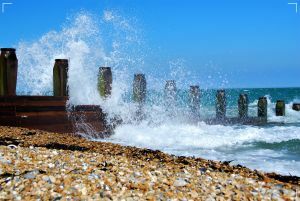 The winning photo/video will be re-posted on our Exclusively Eastbourne Facebook page where the winner will be tagged. The competition winner will also be contacted via email with details of how to claim their prize. The annual competition winner must book their three night stay within 1 year of the prize announcement date, bookings will be subject to availability and peak seasons and months are excluded unless otherwise agreed. Exclusively Eastbourne reserves the right to cancel or amend the competition and these terms and conditions without notice. The management reserves the absolute right to disqualify any entrant to any competition which it considers has used improper means to enter. No cash alternative to the prize will be offered, the prize is not transferable. The prize is subject to availability and we reserve the right to substitute the prize with another of equivalent value without giving notice. By entering the free prize draw, the winner consents to being in a photographed post announcing them as the competition victor.